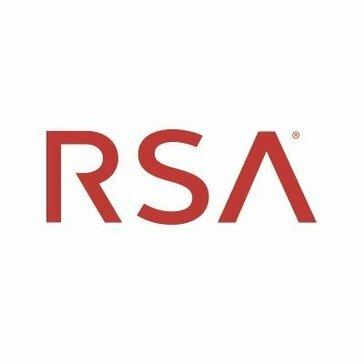 Work for RSA SecurID Risk-Based Authentication? Learning about RSA SecurID Risk-Based Authentication? "Best risk-based authentication tool that provides ultimate security"
It helps in achieving higher levels of security through multi-factor authentication. I have used this along with Junos Pulse which combines Google authentication along with a combination of a manually set password and pin, that helps us generate random tokens useful for accessing resources spread across various networks. This prohibits tampering or misuse of data, maintains data integrity, and also confidentiality is maintained. It is thus one of the simplest and best risk-based authentication tools that provide ultimate levels of security. It is really simple to configure and generate random tokens by simply verifying the password and pin used to configure SecurID. The interface too is very user-friendly and does the desired work appropriately. The random tokens generated by SecurID are always in numeric format. It would be really stronger if there was a combination of special character or alphanumerics. It helps us to achieve security by providing Multi-factor authentication, to protect resources across different networks. It generates random tokens based on the password and pin verification, which increases the security levels manifolds. RSA is very easy to use. Whenever I need to tunnel in, I can just click and open a unique number to log in securely. "Great Product Easy to Use"
I like that it makes me feel more secure when using my laptop away from the office. It's a great product. Makes you feel secure. Working away from the office. It helps me to be able to work from home or other places besides my office. Sometimes the code does not work and I need to type in the numbers again, sometimes repeatedly. I don't know though whether it is the problem with my computer (likely), internet connection or is RSA to be blamed. I like best that is is super easy to utilize. It looks clean and is very fast. So far there are no dislikes , possibly and option to pin it to a location on the window. Nothing. It’s easy to use. Expires but that’s a mandatory security issue. * We monitor all RSA SecurID Risk-Based Authentication reviews to prevent fraudulent reviews and keep review quality high. We do not post reviews by company employees or direct competitors. Validated reviews require the user to submit a screenshot of the product containing their user ID, in order to verify a user is an actual user of the product. Hi there! Are you looking to implement a solution like RSA SecurID Risk-Based Authentication?